Dacia Duster is the best-selling SUV in Europe, according to Christophe Dridi, the new CEO of Dacia Renault. The company will increase the production capacity in its plant in Mioveni through an investment of EUR 100 million by 2021. “The new version of Duster has turned out to be a huge success. We are very proud of this product. 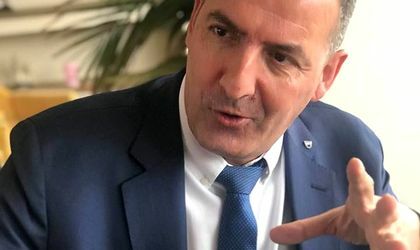 The plant in Romania is working at its maximum capacity, which is why we are planning to expand our production by 15 percent over the next two years”, the new CEO of Dacia Renault stated in a press meeting. Daily Duster production reaches 1,100 cars, of a total production of 1,400 cars per day. Each production line is at maximum capacity, he explained. The investment in the Mioveni plant will total EUR 100 million, of which EUR 25 million will come from state aid. All production lines will be expanded, according to company official. 300 new employees will be hired in the next two years, he stated. And this investment is part of the strategy to keep the Mioveni plant as the gravity center of Dacia production. 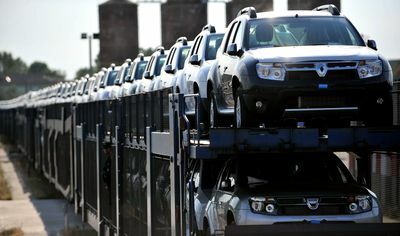 “Dacia is being sold in over 44 countries. But Romania is not the only country to produce Dacia cars. There are 11 plants that produce cars under this brand. Romania is the origin country. In order to continue to be the gravity center we need to strengthen the chain of global car access, from design, to manufacturing, logistics and trade, and also to increase our production capacity and attract new suppliers”, he explained. The new CEO of Dacia also talked about the robotization of manufacturing, which will reach 20 percent in 2021. “Right now, around 10 percent of the manufacturing is done through technology”, he explained. By 2021, production will increase to 406.000 cars a year.